The Greenwich Town Administrator serves under the direction of the First Selectman, is responsible for all administration relative to the daily operation of the general government functions under the supervision of the First Selectman, and supports all aspects of Town government. They are: community development, fire, fleet, human resources, information technology, labor relations, parking services, parks and recreation, police, public works, purchasing and administration, and law. The Town Administrator is appointed by the First Selectman. Working with Town staff on multi-departmental projects and with issues that come before the Representative Town Meeting (RTM) or Board of Estimate and Taxation (BET). The mission of Greenwich Town Government is “to provide an effective network of public services in a responsible and efficient manner supporting the common good of our community.” The organization has 983 full-time employees. The recommended 2014-15 General Fund Budget for the Town, education and capital expenditures is $397,492,173. The Town has a history of long-tenured, professional Town Administrators. There are four elected boards in the Town of Greenwich, responsible for various aspects of its operation: The Board of Selectmen, Representative Town Meeting (RTM), Board of Estimate and Taxation (BET), and the Board of Education. The Board of Selectmen comprises the First Selectman and two other Selectmen. The First Selectman is the full-time chief executive officer and is responsible for the administration of the departments noted previously. All other departments are under the supervision of independent boards and commissions. The Board of Estimate and Taxation administers the financial affairs of the Town, including review of the First Selectman’s recommended budget and submission to the RTM for final action. The BET also sets the mill rate. The Board of Education operates separately from the Town but its budget is approved through the RTM. Requirements for the position of Town Administrator include a Bachelor’s degree in public administration or related field and 10 years of managerial experience, including department head, Assistant Manager, or City/County Manager experience in a comparable local government with labor relations experience. Preferred qualifications include a Master’s degree in public or business administration and demonstrated experience working within a complex local government structure, managing projects across departmental lines, and long-term financial planning. Experience working with multiple boards and elected bodies and ICMA-CM are also preferred but not required. The ideal candidate for Town Administrator will be a seasoned professional, whose ethics and commitment to good government are unwavering. He/she will have demonstrated excellence in managing municipal operations, providing leadership across departmental lines and sound recommendations to the First Selectman and other elected bodies. The Town Administrator will be adept at navigating a complex government structure, respecting the form of government, employing a prudent fiscal approach, and ensuring a continued commitment to sound professional management. He/she will have experience working with a sophisticated citizenry that has high expectations and working with department heads to ensure excellent, efficient services. He/she will be a skilled negotiator, exceptional problem-solver, and an adept communicator. The ideal candidate will be flexible and patient but also firm and confident, earning the respect of citizens, businesses, staff, and elected officials. 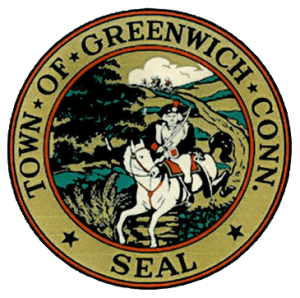 Greenwich, Connecticut was settled in 1640 and named for a borough of London famous for its observatory. Greenwich, referred to as the gateway to New England, has a population of 61,171. Located in Fairfield County west of Stamford, Connecticut and east of Westchester County, New York, it is just 28 miles from and the closest Connecticut town to New York City. Greenwich is easily accessible as it is located on the Merritt Parkway (Route 15) and the New England Turnpike (I-95) and also is on the main line of the Metro North Railroad. Greenwich is a beautiful residential community with vibrant retail areas and some commercial office space as well. The Town’s strong economic condition draws strength and stability from its high per capita income and housing values and prudent long-term financial planning. The Town’s Grand List, which contains the values of all taxable real and personal property, is the highest in the state at close to $31 billion. It also has a strong fund balance. At the end of fiscal year 2013, the fund balance of the General Fund was $35.3 million and the fund balance for 2014 was $47.3 million. The community is 50.6 square miles stretching from the backcountry to Long Island Sound. It has seven villages, or hamlets, each with its own distinct identity and geography, many with roots that predate the Revolutionary War. An estimated two-thirds of the community is considered the mid-country and back country. In the mid-country to the south, there is predominantly one- and two-acre zoning, while there is mostly four-acre zoning in the backcountry area, defined as north of the Merritt Parkway. The backcountry is characterized by a diversity of rivers, lakes and ponds, winding country roads, woods and meadows, and glacial carved gorges. It is in the backcountry in which most of Greenwich’s golf courses and parklands are found. Greenwich residents are active, engaged, and well educated. They have high expectations of their local government services, and the Town’s workforce prides itself in providing exceptional service. Greenwich has an outstanding public education system. It has a high school, three middle and 11 elementary schools. There also are two private schools which offer first-to-twelfth grade education. The expected hiring range is $175,000-$190,000, depending on qualifications, with an excellent benefit package. There is no residency requirement. Confidential applications will be accepted electronically by The Novak Consulting Group. Apply online at thenovakconsultinggroup.com/jobs and include cover letter, resume with salary history, and 3-5 professional references. Applicant information will be kept confidential.